This book argues that terrorism in the modern world has occurred in four "waves" of forty years each. 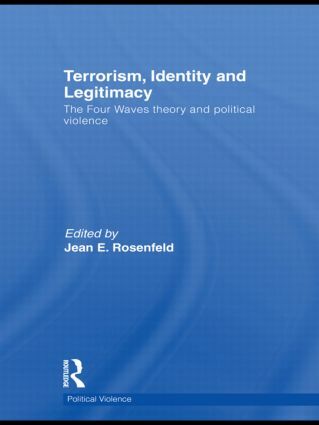 It offers evidence-based explanations of terrorism, national identity, and political legitimacy by leading scholars from various disciplines with contrasting　perspectives on political violence. Whether violence is local or global, it tends to be both patterned and innovative. It elicits chaos, but can be understood by the application of new models or theories, depending upon the methods and data experts employ. The contributors in this volume apply their experiences and studies of terrorists, mob violence, fashions in international and political violence, religion’s role in terrorism and violence, the relationship between technology and terror, a recurring paradigm of terrorist waves, nation-states struggling to establish democratic/elective governments, and factions competing for control within states - in order to make sense of both national and international acts of political violence and to ask and answer some of the most disturbing questions these phenomena present. This book will be of much interest to students of terrorism, religion and violence, nationalism, sociology, war and conflict studies and IR in general. Jean E. Rosenfeld is an Academic Researcher at the University of California, Los Angeles, Center for the Study of Religion.